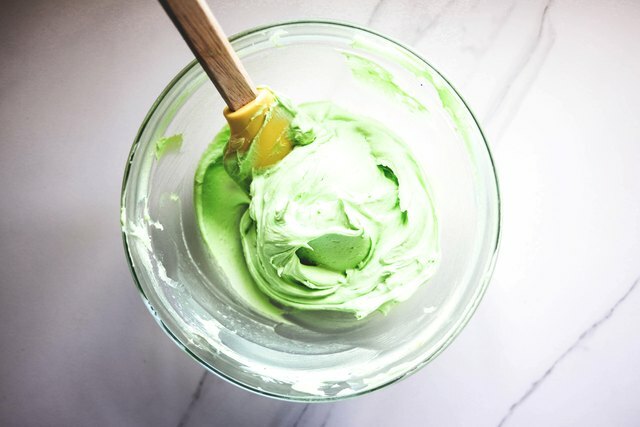 From basic green, to mint, lime and dark green - you can easily use food coloring to mix a whole range of hues for the color green. Just follow these instructions. 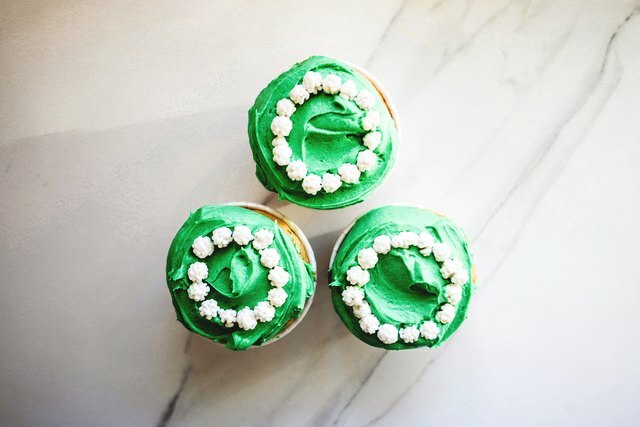 The drop stopper will help you count the drops of food dye. Alternatively, if you don't have access to a drop stopper, you can try to count the drops added individually. Another good way to measure the drops needed is by thinking that 100 drops of food coloring is equal to about 1 teaspoon. 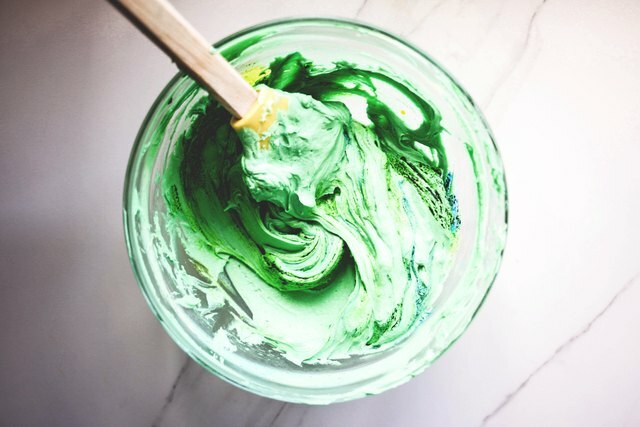 To make basic green, add in 30 drops of blue food coloring and 75 drops of yellow food coloring. Mix to combine. 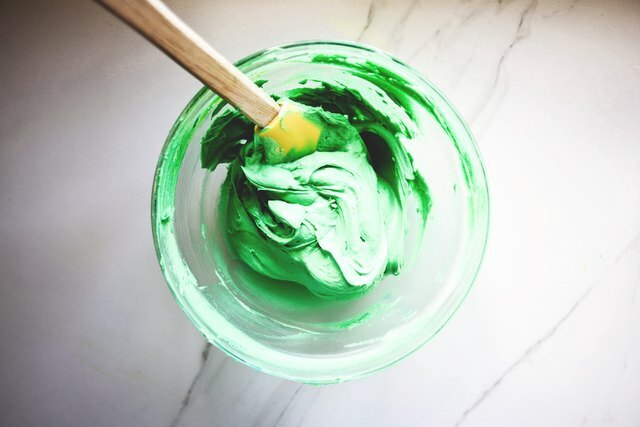 To make a lime color, add in 9 drops of blue food coloring and 29 drops of yellow food coloring. Mix to combine. 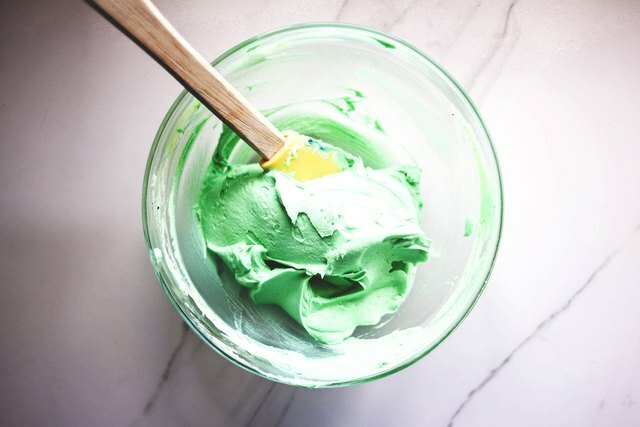 To make a mint color, add in 19 drops of blue food coloring and 54 drops of yellow food coloring. Mix to combine with a rubber spatula. 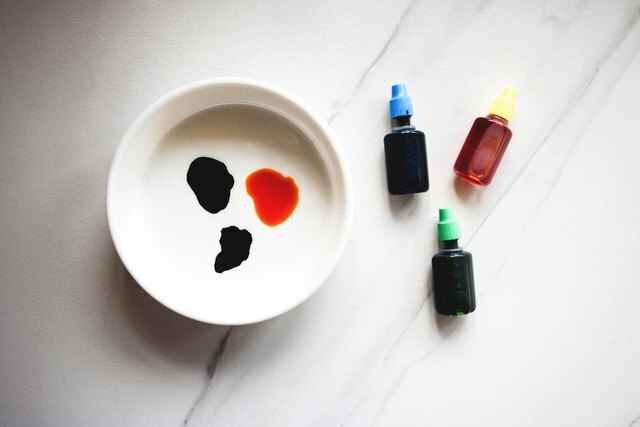 To make dark green, add in 65 drops of blue food coloring and 115 drops of yellow food coloring. Mix to combine. 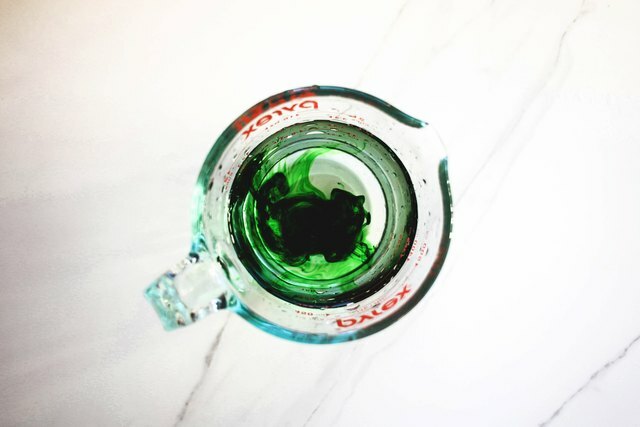 You can test the green coloring to make sure that it's the shade you desire by placing a few small drops of it in a pouring jug filled with water. The drops of dye needed will slightly vary depending upon the type and quantity of base that you are coloring. Test the strength of the color as you go. It's quite easy to over-color and difficult to lighten the shade after the food dye has been added.